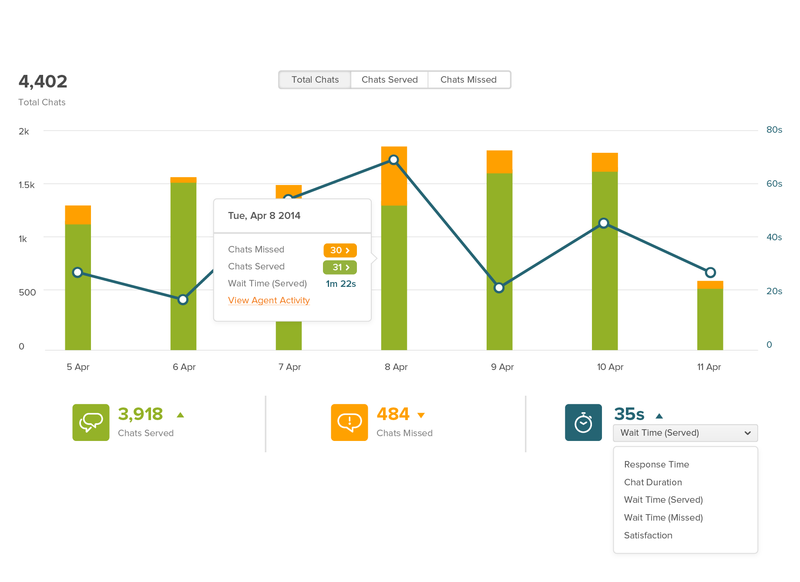 Zendesk Chat analytics gives teams a view into chat and agent activity to make chat support better. Track agent metrics over time to see the impact of waiting times and missed chats. Use the metrics to anticipate customer needs, increase satisfaction, and improve your team's efficiency. Learn More. Manage your support in real time with Monitor. View actionable data on chat volume, visitor experience and agent performance. Learn More. Keep track of all past chat conversations and browse by date, department, agent, visitor or even a specific tag. Learn More. Conversion tracking lets you measure the positive impact of chat on the bottom line — whether it’s making a purchase or signing up for your product. Use this data to optimise your website conversion funnel and reward high performing agents. Learn more. Use Insights to create customised reports and dashboards using Chat metrics that are relevant to you, and get better visibility into performance across all your support channels. Learn more.